I believe that travel should always be a mix of sites and senses. Cities and historic buildings all have there place but one should never forget the natural beauty of the countryside. It seems such a shame to visit somewhere and stay confined within the city walls. I offer two great hiking trails andalusia to my clients with transfers included, as I know that often the lack of a car and not knowing where to go does influence people´s decisions on what to do.. The Sierra de Aracena lies to the north west of Seville. It is a bewitching landscape of undulating hills, ancient drovers paths meandering from one village to another, bordered with old lichen and moss covered stone walls. Scattered throughout are the ubiquitous Horse Chestnut trees, their leaves turning a beautiful ochre and gold colour in autumn, contrasting dramatically with the deep blue Andalusian sky. Other parts of the sierra abound with ancient dehesas of Cork and Oak trees and whilst hiking you are very likely to encounter plenty of goats as well as the Iberian black pigs searching for fallen acorns. This area is scattered with many charming hamlets and villages. Aracena is the main town and is overlooked by its Templar castle. Apart from being able to buy good quality Iberian ham and cheese here, it also has a famous patisserie that produces delicious turron and traditional cakes and pastries. Many Sevillanos come here to pick mushrooms and buy ham for the Christmas holiday period. Your English speaking guide will collect you from Seville and drive you to the Sierra (approximately 1 hour 30 minutes driving time). There are various circular routes to walk and generally take three hours to complete. After spending the morning hiking, if you wish you can have lunch in one of the restaurants in the area, before being driven back to Seville. To the south east of Seville lies the Grazalema National Park. Its mountain range is 1700m at its highest point and is largely made up of limestone and dolomite. It has the most rainfall in Spain making it quite green for Andalusia and in the spring time you can see many wild flowers. The landscape is varied with Cork and Holm Oak, Eucalyptus, Strawberry trees, Fan palms, Acebuche (wild Olives), Almond and Carob trees. In rocky areas you often find stonecrop and saxifrage plants. It is also home to one of the largest colonies of Griffin Vultures in Europe. 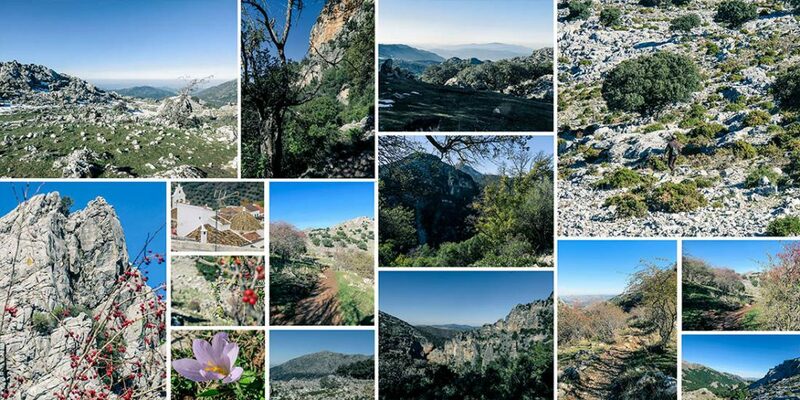 The Grazalema park is a great area for hiking with all this dramatic scenery and fresh air. 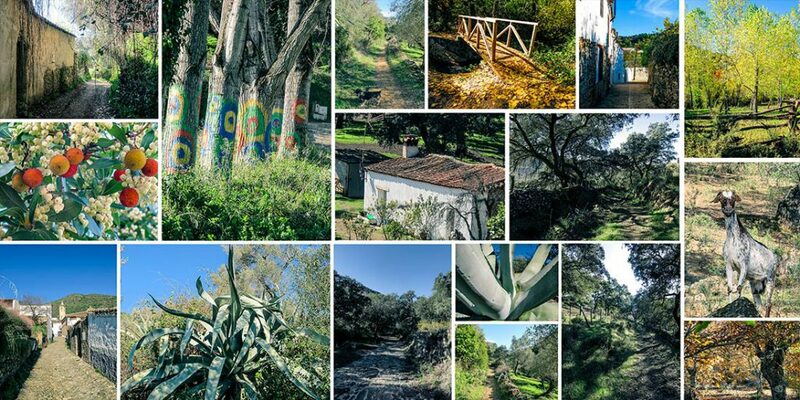 Depending on how much of the day you want to spend here, it can be really enjoyable to combine the hiking with a visit to a charming, traditionally run olive mill as well as enjoying some tapas and a cold beer after all that excercise and fresh air! Your English speaking guide will collect you from Seville and drive you to the Sierra (approximately 1 hour 40 minutes driving time). There are a good variety of hiking routes to walk and generally take three hours to complete. After spending the morning hiking you will have lunch or tapas in one of the restaurants or local bars in the area, before being driven back to Seville. TO MAKE A BOOKING please fill in your details and I will contact you shortly.